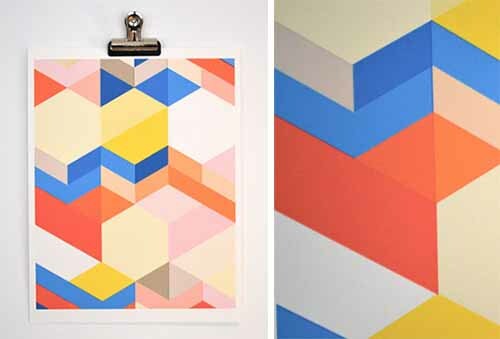 Kelly's spot-on color combinations and geometric prints are available in different colors and sizes and work well either on their own or actually, as part of a gallery wall. They're modern and playful - fun for an office too. 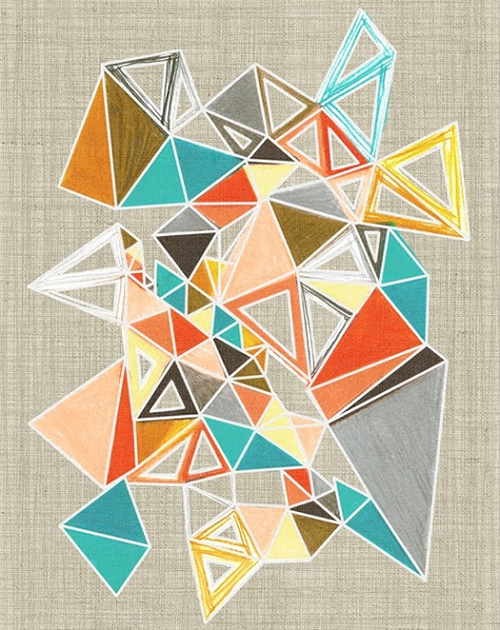 This piece is named Paper Chevron and like all of her art prints, starts at a great price point of just $22. To see more of Kelly's work, which includes stationery and custom invites, click here. Crystal describes her work as an "exploration of the micro and the macro. It's an exercise in my fascination with the small, sometimes hidden elements that make up our world, their relationships with the whole and the endless variety that ensues." This acrylic painting reveals and changes with time and Crystal's sentiment best captures this piece- "things are so simple from afar..."
I love today's post, as it's a perfect example of how you can add pretty artwork to your home on a budget. 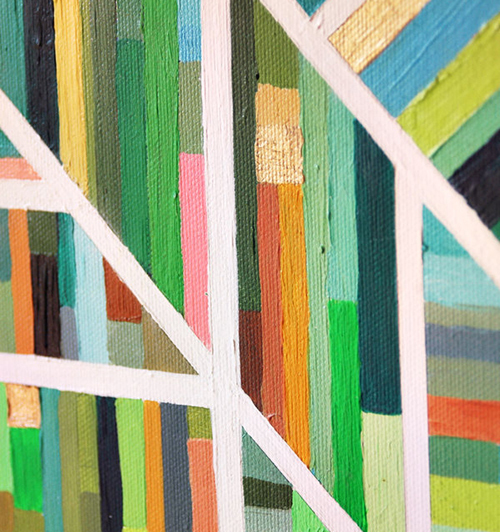 These geometric patterns by Kat Webster of Canopy Studio in New Orleans are modern, colorful and super stylish. With a masters degree in architecture from Tulane University, Kat has an innate and attuned sense of balance, color and design. Plus, she's in trend. 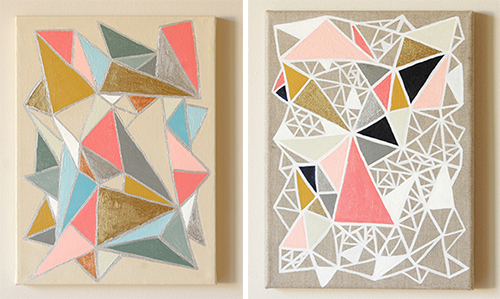 Find all her fabulous geometric prints, here.